The ICA has long maintained a committed space for the screening of film and video, opening a dedicated Cinema in 1968. ‘Film’ at the ICA encompasses the most challenging and underrepresented aspects of international narrative cinema, documentary practices and experimental moving image works that test the boundaries of film and video media, and often of the cinema auditorium itself. 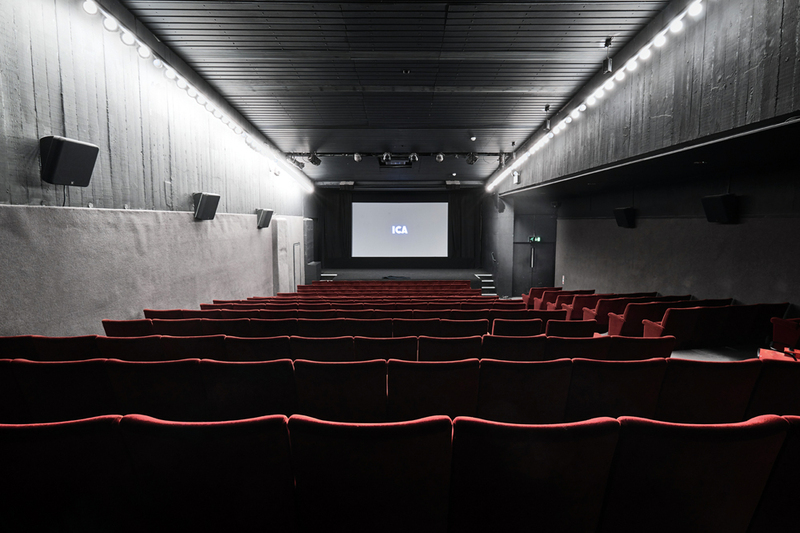 The ICA cinemas are unique sites for encountering different scales and means of moving image production, and the pioneering visions of filmmakers and artists. The ICA profiles the very best of independent world cinema, supporting formal and conceptual experimentation in new fiction, documentary and animation, and re-presenting film from the margins. It curates and hosts film festivals that bring audiences and filmmakers together, leading the critical discourse around independent cinema. The ICA is committed to the support of artists whose work in the moving image moves between the cinema and the gallery. Under the title Artists’ Film Club, the ICA regularly presents single screenings and multi-part surveys of artists and artist filmmakers. These programmes often take on an expanded form through accompanying talks, performances, discussions and workshops. The ICA also operates as a distribution agency, supporting and circulating groundbreaking films.